At Great Lakes Security Hardware, we know that a successful business requires uninterrupted cash flow. We offer comprehensive service for all top brands of commercial safes. If it’s a safe with a proper lock, we can service it as well. We offer high-quality service from site preparation, pre-site surveys, removal of old units, safe lock repair and replacement, emergency safe access, and delivery and installation of commercial safes. All the services you require with only one point of contact. Most importantly, you can decide the level of service you require and come up with a support program to suit the specific needs of your business in Roseville, Michigan. Safes are imperative for businesses, whether it is for important documents or daily cash drops. Sometimes these safes are the just element in an office which offers full security and a hiding area from the eyes of other staff in the office. Of course, the primary consideration to the commercial safe size which you buy is the space available in your office. Secondly, ensure that the measurements provided by the safe companies include the thickness of walls in the safe that reduces the amount of storage space in the safe itself. Finally, as a rule of thumb, consider what you want to store in your safe at this point in time-and purchase one size bigger. There is high chance that pile of papers will increase faster than you anticipate. Will you be protecting secure information, storing documents, or dropping cash? 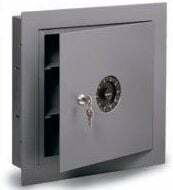 There are various types of the safes which Great Lakes Security Hardware for your specific needs. Installation should involve bolts which anchor your safe into the ground. No matter how heavy the safe may be, if it’s not securely fastened to a wall, or to the ground, its job isn’t complete. Also, there are safes which our experts can install into the floor, as opposed to on the surface, for additional security level. Safes should be fitted in the most internal offices or rooms to prevent them from being visible to the general public or easily accessible. This also begs the question, how much additional security do you’ve for that room? Is there a keypad, or an alarm on the door handle? How many people will reach the safe on a daily basis? Contact Great Lakes Security Hardware today.